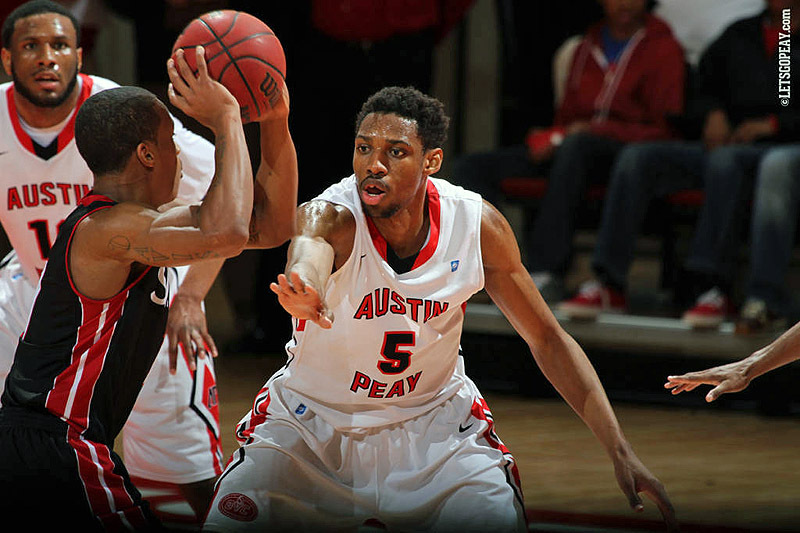 February 2014 Archives - Clarksville Sports Network - Clarksville Tennessee's most trusted source for sports, including Austin Peay State University. 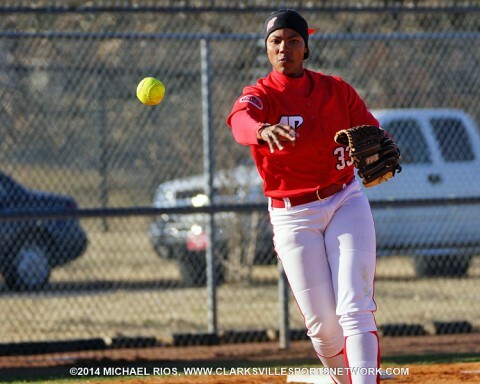 Clarksville, TN – Austin Peay State University’s softball team authored pair of late-inning rallies, Friday afternoon at Cheryl Holt Field, as it swept a doubleheader from Trevecca Nazarene University by scores of 1-0 and 3-2. Austin Peay Lady Govs Softball sweeps Trevecca Friday. Clarksville, TN – Austin Peay State University’s baseball team used four home runs to secure an 8-5 victory against Dayton, Friday night, in the opening day’s nightcap of the 2014 Riverview Inn Classic at Raymond C. Hand Park. 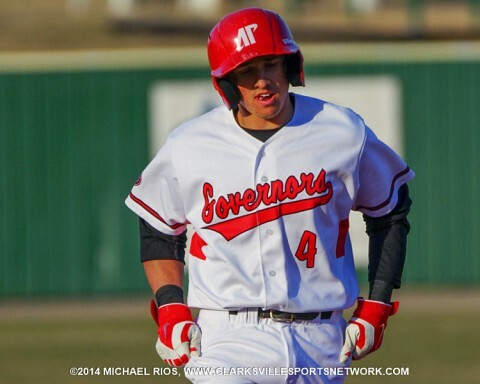 APSU Third baseman Garrett Copeland had a home run and three RBI as part of a 2-for-4 outing against Dayton, Friday. Clarksville, TN – The Austin Peay State University men’s basketball team travel to Martin Tennessee Saturday needing a win against the UT Martin Skyhawks to keep any playoff hopes alive. Clarksville, Tn – The Clarksville High School baseball team will host a series of scrimmages beginning Friday, at CHS. Teams participating include, Montgomery Central High School, Northwest, Clarksville Academy, , Brentwood Academy and Northeast. 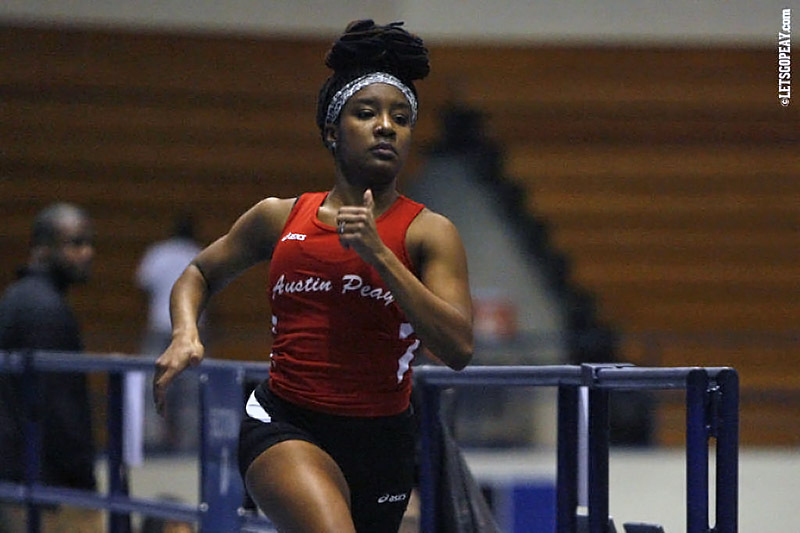 Clarksville, TN – Austin Peay State University’s track and field team enters the Ohio Valley Conference Indoor Championships hoping to take its place among the conference elite with a strong showing in Nashville, TN. The two-day event begins 9:00am, Friday, at the Gentry Center on Tennessee State’s campus. 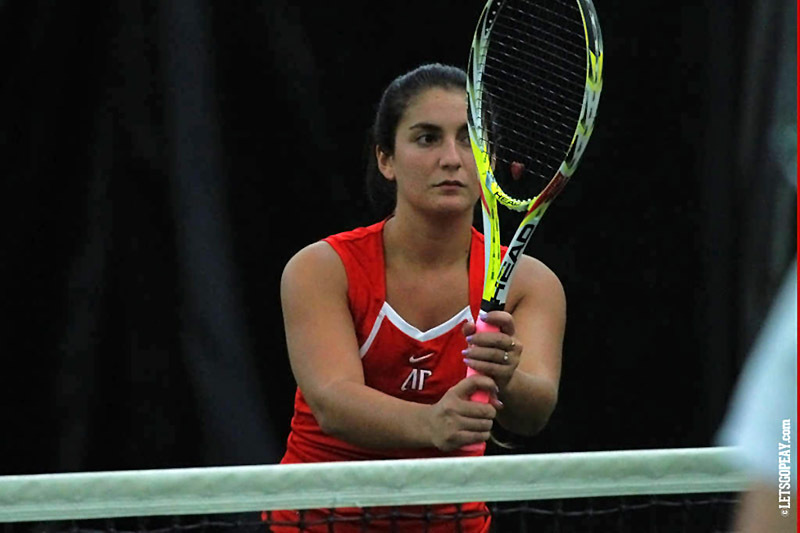 Clarksville, TN – Riding a two-game winning streak, Austin Peay State University women’s tennis team returns home for a pair of matches against Evansville (4:00pm, February 28th) and Lindsey Wilson (2:30pm, March 1st) at the Austin Peay Tennis Center. Cape Girardeau, Mo – Austin Peay State University’s improbable comeback came up short, Thursday night, leaving the Govs’ Ohio Valley Conference tourney hopes tenuous. Nashville, Tn – Over the past four years, Christina Foggie and Jasmine Lister have compiled a massive collection of happy memories at Memorial Gym. Their final home game won’t be one of them. On an emotional Senior Night at the historic gym, the Commodores suffered a 73-68 loss to Florida before a crowd of 3,338. It was Vanderbilt’s seventh loss in the past nine games, and dropped the Commodores to 18-10 overall and 7-8 in the SEC. Florida improved to 18-10, 8-7. Baton Rouge, La – In a game of two distinctly different halves, the #9 Lady Vols held a 21-point halftime lead and held on for a 72-67 win at #23 LSU on Thursday night. Meighan Simmons (31 points) and Cierra Burdick (career-high 22 points) combined for 53 points including 34 in the first half as Tennessee was doubling the Lady Tigers at intermission, 42-21. Tennessee moved to 23-5 overall and 12-3 in the SEC as the Lady Vols secured the #2 seed in the SEC Tournament which begins next week in Duluth, Ga.
Clarksville, TN – Too many turnovers gave the Wilson Central Wildcats the opportunity to pounce on the Kenwood Knights and keep them down to win, 50-37, and become the Region 5-AAA Tournament Champions Thursday night at Rossview High School. The Wildcats employed a defensive 1-2-2 trap that slowed down the Knights normally up-tempo offense and had them making mistakes passing the ball.